Venezuelan Former Treasurer Says He Accepted $1 Billion In Bribes The bribes included property, horses and watches. The legal action has played out as Venezuela reels from hyperinflation and citizens struggle to purchase basic necessities such as food and medicine. Venezuelan officials allegedly granted access to favorable currency exchange rates in exchange for bribes. A former Venezuelan national treasurer has pleaded guilty to conspiracy to commit money laundering in an elaborate international scheme that involved more than $1 billion in bribes. The scheme allegedly involved payments from Venezuelan billionaire Raul Gorrin Belisario, who owns the Globovision news network, to Alejandro Andrade Cedeno and an unnamed senior Venezuelan official. Gorrin allegedly made the payments to gain access to favorable currency exchange rates. The legal action has played out as Venezuela reels from hyperinflation and citizens struggle to purchase basic necessities such as food and medicine. Earlier this week, the Department of Justice unsealed Gorrin's 2017 indictment and Andrade's 2017 guilty plea. Both Gorrin and Andrade have residences in Florida. "As part of his guilty plea, Andrade admitted that he received over $1 billion in bribes from Gorrin and other co-conspirators in exchange for using his position as Venezuelan national treasurer to select them to conduct currency exchange transactions for the Venezuelan government," according to the U.S. Attorney's Office for the Southern District of Florida. "Rigid currency controls in place in Venezuela for over a decade have been a major driver of graft, allowing a privileged few to be able to purchase hard currency from the government at the overvalued official exchange rate and resell on the black market for instantly huge profits." Before becoming the country's national treasurer in "approximately 2007," according to a court document, Andrade had served as a bodyguard to Hugo Chávez, the Venezuelan leader who died in 2013. In exchange for granting Gorrin access to the favorable exchange rates, Andrade admitted to receiving cash payments, real estate, and an aircraft. Lawyers for Andrade and Gorrin did not immediately respond to requests for comment. Andrade and Gorrin are not identified by name in each other's court documents, though a statement from the Department of Justice clarifies their relationship in the alleged scheme. A court document filed earlier this month said Andrade has agreed to forfeit a long list of assets, including six Florida properties, at least 10 cars (including a Bentley, three Mercedes Benz and a Porsche), 17 horses (with names like Bonjovi, Joly Jumper and Tinker Bell), more than 30 watches, and the contents of nine bank accounts. The forfeiture of those horses is likely a blow to Andrade's son Emanuel, who is an Olympic equestrian and regularly posts photos of the horses on his Instagram account. According to The Palm Beach Post earlier this year, Venezuelans living in the area long have questioned how Andrade could afford to live so luxuriously, and they have held protests against him. The indictment against Gorrin, the media mogul, says it is seeking the forfeiture of 24 properties linked to him in Florida and New York. As Reuters reported, Globovision used to be a "virulently anti-government station." But, according to the news agency, it "overhauled coverage and softened criticism of Chávez's successor, Nicolas Maduro, after Gorrin purchased the channel in 2013." 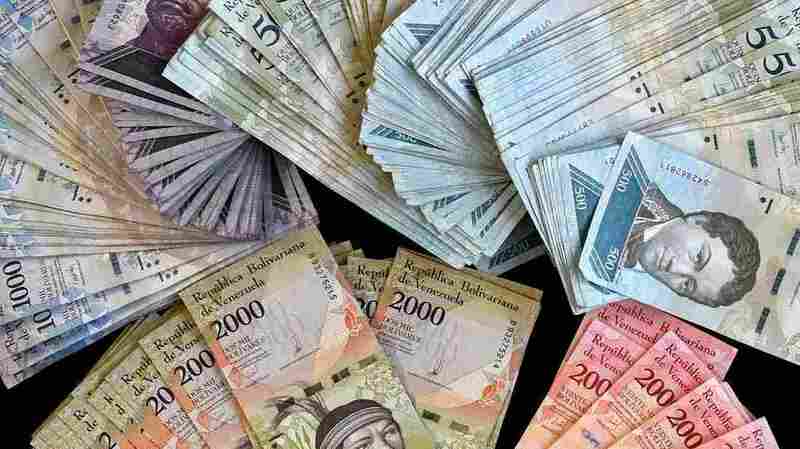 Another Venezuelan citizen, Gabriel Arturo Jimenez Aray, also has pleaded guilty to conspiracy to commit money laundering as part of the scheme. Jimenez, who owned Banco Peravia, admitted to conspiring to acquire the bank to use it for laundering bribe money. Both Jimenez and Andrade are scheduled to be sentenced later this month.